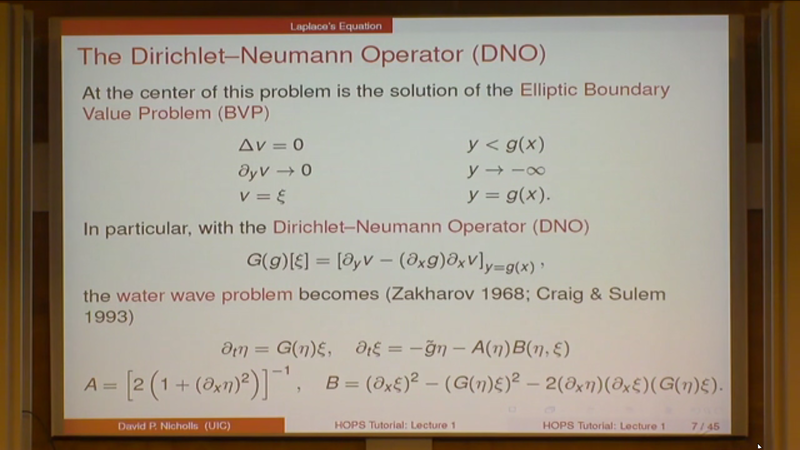 The slides from the lectures of Ben Akers and Dave Nicholls on Higher Order Perturbation of Surfaces (HOPS) are being made available on the HOPS Website. Currently the website has the slides from Lecture 1 (Boundary value problems), Lecture 3 (Analyticity theory) and Matlab codes. Further HOPS material will be posted on this website as it becomes available. The videos for all four of the lectures are now available for viewing: Lecture 1, Lecture 2, Lecture 3, Lecture 4.